Lodging for adult workshop students is available in our rustic farmhouses. The accommodations are basic and “no frills”. The shared rooms have two twin beds, share a bathroom with other bedrooms, and are not air conditioned. There are a very limited number of single rooms, rooms that do have air conditioning, and two rooms that have a private bath. Additional fees are charged and reservations are made on a first-come, first-serve basis by calling the office; payment is due in full to guarantee your reservation. 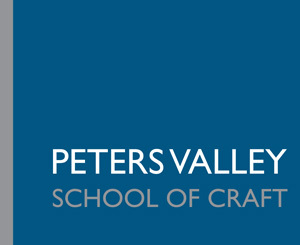 Peters Valley also offers a “youth hostel-style” dormitory that is available for matriculated college students only. Pillows, linens, and towels are provided in all dorms. These historic farmhouses are not handicapped accessible. Each house has two floors, so if you require a first-floor room, please be sure to let the office know at least one week prior to your arrival. The houses have at least two steps leading up to the entrance. All Peters Valley lodging facilities have fully equipped kitchens which students staying in the building are welcome to use. We recommend that you bring your own groceries, since the nearest stores are about 15 minutes by car from Peters Valley. Roommates in shared housing are always same gender, unless your roommate is accompanying you and you specifically request to share a room. Common areas of all houses are co-ed, including the shared bathrooms. Pets are not permitted and there is no smoking allowed in any of the Peters Valley buildings. No overnight camping is permitted on the Peters Valley Campus. Wifi is available in all dorms and at the Dining Hall. Please Note: On-campus lodging is not permitted for anyone under the age of 18 unless accompanied by an adult. There are some Bed & Breakfasts in the area as well as a few motels and campgrounds. The listing below is provided for reference only and does not reflect a recommendation or endorsement of any of these establishments. Please contact the lodging provider directly for rates and to make reservations.